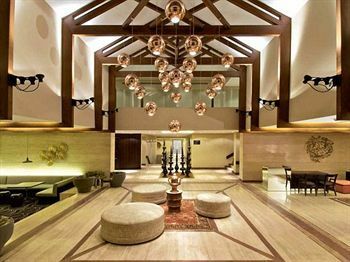 Vivanta by Taj - Dal View, Srinagar, now open to delight you with a nice new buzz that makes it high spot of style in the valley. Perched on Kralsangri hill that captures finest panoramic view of the Dal Lake , surrounded by majesty of Zabarwan Mountains. 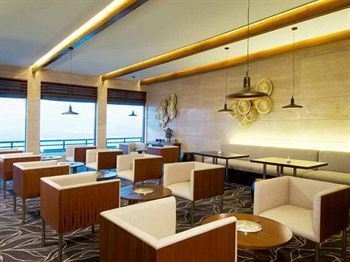 It is a Paradise rediscovered, in a stylish new avatar. 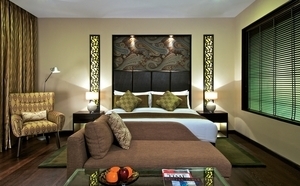 A modern and contemporary space which has the essence of Kashmir wonderfully woven in. Drive in just 20 km from Srinagar International Airport and find delightful backseat surprises (we're not revealing here) along the way. As the road winds up to the main entrance check out the stunning views around every bend. And these change with the seasons. Get a bird's eye view of the spring-summer magical bloom of the Tulip Gardens, the snow-capped peaks of the Zabarwan range in winter, Gulmarg range in spring and the golden glow of the Chinars in autumn. Accented in copper, local timber carvings and warm earthy colours, the resort evokes the spirit and ethos of the valley, while its unique design echoes the Vivanta philosophy of hospitality with a difference. The vibrant reception leads seamlessly to a tea lounge. 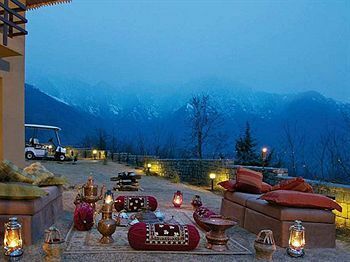 Where you can unwind in the company of speciality coffees and the famed Kashmiri herbal tea Kehwa. 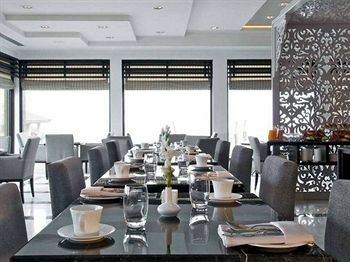 Located 1730m above sea level the resort has truly spacious rooms and suites. Check out the nouvelle restaurants, the high energy bar, and the Jiva spa (Coming soon) where you'll go Ah! 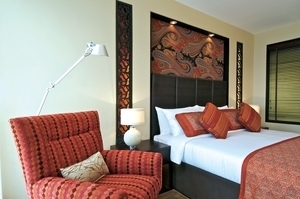 Try mixing biz with fun and see how well wired the resort is. 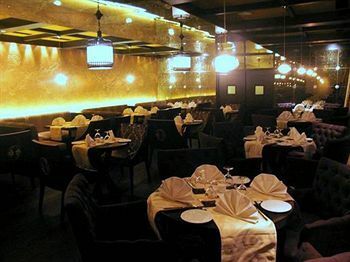 Find that Chef Joshi is ever so eager to wow you with specially designed meals. We've laid the Kashmiri carpet in a nouvelle way to welcome you. Sink in. Baggage Storage on Request, Elevator/Lift, Family/Child Friendly, Breakfast Services, Exhibit Space, Safe Deposit Box-Front Desk, Computer on Request, Backup Generator, Concierge, ATM/Banking. Reading Lamps, Cable/Satellite TV, Air Conditioning Room, Toothbrush/Razor on Request, Wakeup Calls, Attached Bathroom, Microwave, H/C Water, Television Room, Refrigerator Room. User reviews for "Vivanta By Taj Dal View Srinagar"